The aura is a thin, invisible shell, a sort of energy field that surrounds the entire body. 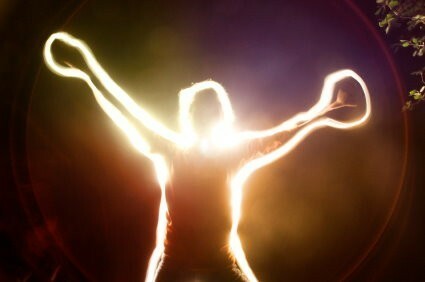 Aura carries a lot of information about the person's personality, his way of life, health, thoughts and feelings. The aura constantly changes its color, but each person has a basic color that does not change. Any human condition is reflected in the color of the aura. The aura is excitable, interactive and alive. If we are in a harmonious state, the aura reflects this in its form and colors. If we are "knocked out" from the balance of our aura, it changes its color and takes a disharmonious form. Chakras are the seven energy centers of man that distribute cosmic energy. Disorders in the work of chakras often lead to problems and various kinds of diseases. Chakras are located in places of large plexuses. Each chakra has its own name and has its purpose. It is the question of great importance to pay attention and keep the aura and chakras in order. To help with these tasks can spells and bindings, which are presented in our store. To provide strength, balance, to activate chakras and clean the aura is real with the help of these spells and bindings. 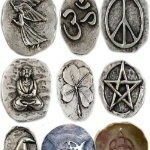 This binding holds the power to align the chakras, cleanse the aura and heal any negative energies. To use it lay on your back or stand up and run the vessel slowly from your root chakra to your crown chakra up and down slowly 5 times. This will allow the magic of the pendant to work its wonders! You can use incantations or spells at the same time too if you wish and the pendant will boost the effectiveness of the spells as they will be cast when your spirit is at its peak! This spell cleanses all of your Chakras and provides a repair of voids and issues which occur in your Chakras through daily life, magic, and supernatural events. The cleansing energy move from the Root Chakra through all the Chakras and out of the Crown Chakra, helping you to feel more harmony and balance in any & all Chakra work which is performed. This is a deep-cleansing that can ferret out issues that are the core, cleanse voids, and provide a reset of self. A powerfully-charged binding which removes all blemishes and voids from your aura. A healthy aura can help you to work with energy around you and help you to identify with your thoughts, feelings, and emotions on a greater & more intimate level. When your aura is clear you can feel more clarity through your mind. You can achieve more meaningful thought processes and derive greater experiences with a fully clear aura. This Feather Flame token is charged with the fire's elemental power of Aura Powers. It has Drawing spells to bring you the ability to View, Repair, Balance, and Influence your Auric Field. You can clear blockages, repair voids, and build a stronger connection with your Aura so you can understand the colors, energy, and meanings. This Feather Flame token is charged with the fire's elemental power of Chakra Powers. It has Drawing spells to bring you the ability to Feel, Balance, and Control the individual and collective powers of your Chakras. 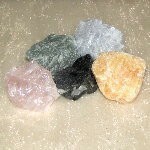 This includes the ability to remove blockages, repair voids, and revitalize your Chakra energies. Magnet-Pad© Exclusive CH Tool to Interact With Different Spirits Or Magic! The Magnet-Pad© is a new, Creepy Hollows invention & exclusive! It is a versatile, supporting tool to any Keeper and/or practitioner! On your path to higher consciousness & ascension of your mind, body & spirit activating your Rainbow Body is essential to any of your astral efforts & achieving enlightenment & ascension into your Rainbow Body. You will be more balanced, controlled, fascinating, and empowering. 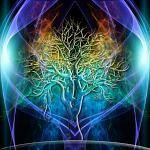 You will have better interaction with magick, spirits, and paranormal energies. You will have a stronger connection with your auric field and have better visions and messages. You will connect with Universal dimensions and energies. Get ready to fall down the astral, rabbit hole. This is a tool used for inciting adventures on the astral realm in numerous dimensions, galaxies, and worlds. It is a protected portal so it is one-way (meaning you can see in but nothing can get out). It can be used in your dream cycle (while you sleep), or during meditation. You will have visions or dreams of the entities, creatures, beings, spirits, civilizations, and worlds that exist within the expansive Astral realm. This was primarily developed for those who want to do work with aura viewing or aura photography. It allows you to have a stronger, resonating aura field that allows for better viewing, deciphering, and understanding. Auric Cleansing Field is a powerful shield of auric energy that encompasses a 2 foot radius around you providing cleansing energies for you aura, spirit, and personal space. It is a strong field that you can opt to keep around you during certain times or for consecutive days if you wish. The field is a powerful force of energy that is great for use once a week or so for at least 12 hours to keep a strong, repelling force of protection around you! 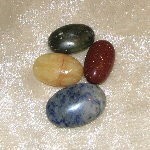 Whether you are someone who works with your Chakras on a daily basis, or you are someone who is new to the discovery of your Chakras, this binding provides a full-service support to you in all your Chakral endeavors! A binding which creates protective energies around your aura to keep it safe from all negative sources. It will keep your aura from developing voids & blemishes from natural or unnatural sources. Your aura can have a strong influence on your thoughts, ideas, spirituality, and self-image. This binding provides a shield of protective energies around your aura to keep it healthy at all times.